I don’t know what deal was with the dual names, but I didn’t concern myself with insignificant details like that. 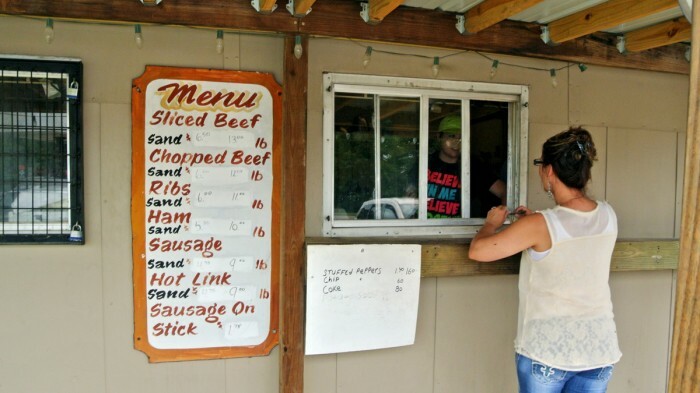 The menu was short, consisting only of six varieties of barbecue sandwiches along with a few sides including sausage on a stick, potato salad, stuffed peppers, potato chips, and soda. You’ve gotta appreciate a place that keeps it simple and doesn’t stretch themselves too thin. I knew I was going to get one of the barbecue sandwiches and ultimately settled on the Chopped Beef version. I really appreciated being able to watch my sandwich get assembled by hand in the window right before my eyes. First a bun, drizzled with barbecue sauce. Then a layer of pickles and onions. 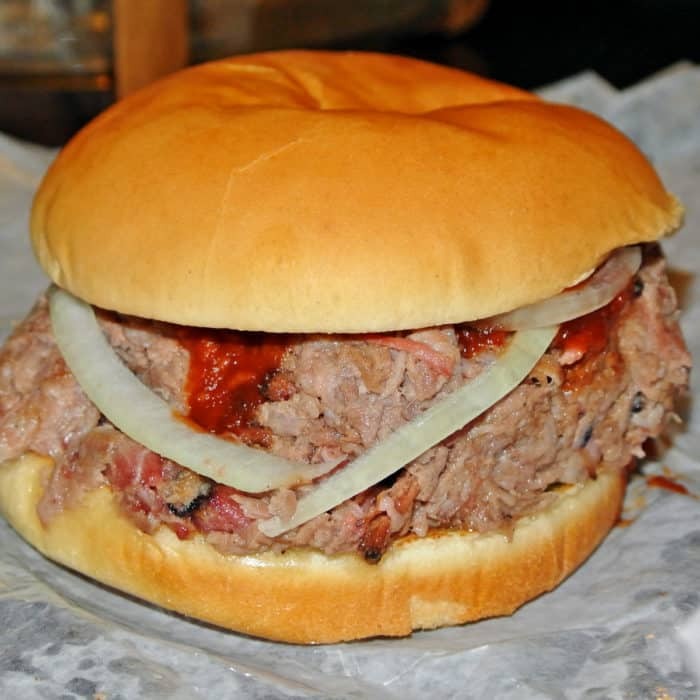 And finally a veritable fistful of juicy, meaty, chopped beef brisket before another pour of barbecue sauce was added followed by a top bun to secure the whole thing. It was massive. It was messy. And it was a real steal for the low low price of $6. I wouldn’t say that this brisket can really hold a candle to any of my favorite brisket spots like Black’s or Fette Sau because it was lacking that crispy spiced bark texture I love so much. But as a great, cheap, filling, hangover-killing alternative in Denison it certainly did the trick. 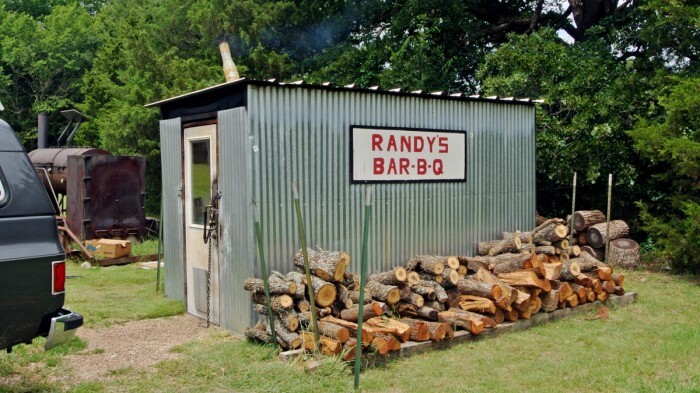 In conclusion, even though Randy’s didn’t serve mind blowing barbecue, I certainly enjoyed my lunch and would recommend a visit if you’re craving some ‘cue and find yourself in the Lake Texoma area. Got some other North Texas cheap eats I should check out next time I’m in the area? Let me know in the comments below.